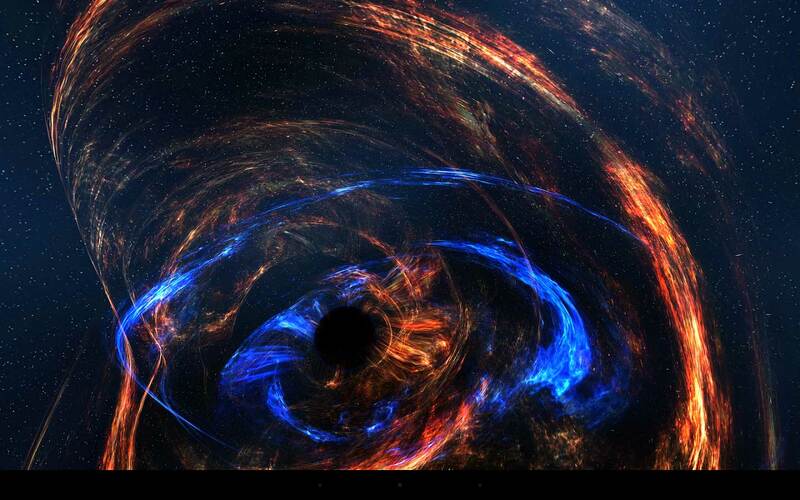 Black holes absorb light and all other forms of radiation, making them impossible to detect directly. But the effects of black holes, in particular accretion disks where matter is shredded and superheated as it spirals down into the black hole, can release enormous amounts of energy. The accretion disks around supermassive black holes are some of the brightest objects in the universe. These objects are called "quasi-stellar radio sources" or "quasars," but actually this is a misnomer; only about 10% of quasars emit strong radio waves. 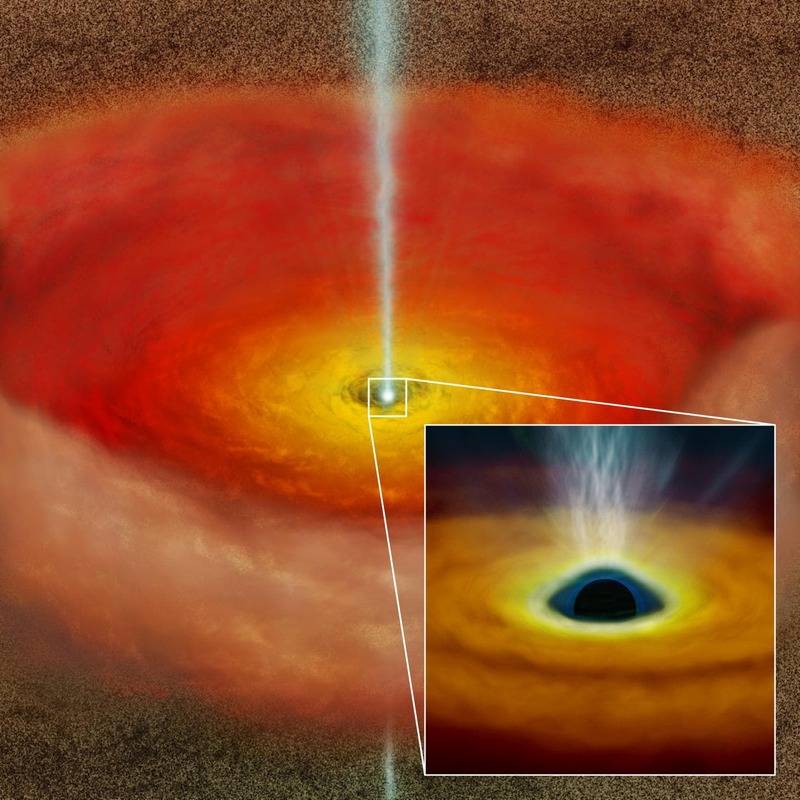 We now know that "radio loud" quasars occur when a fraction of the matter in the accretion disk avoids the final fate of falling into the black hole and comes blasting back out into space in high-speed jets emitted from the poles of the black hole. But we still don't understand why jets form some times and not other times.